Cash Grab Slots is a classic slot with a well-familiar set up-3 reels and 1 payline. Its background is as simple as it gets-a rather old-fashioned looking slot machine with a metal, slightly bended lever that puts the reels into motion. This is a game that is definitely respectful of traditions and if you have a passion for old-time gambling, it is definitely your cup of tea. Coin values are 10 cents, 50 cents, 1 dollar, 5 dollars and 10 dollars. The maximum number of 3 coins with which a player can enter a spin, makes the biggest possible bet 30 dollars. A traditional slot has traditional symbols such as the likes of Cherries, Bars, Bonus Symbols and Sevens. The wild symbol is the Cash Grab symbol. It has the ability to replace the other symbols in the game. A single wild symbol in a winning combination will double the payout of it. Two wilds will lead to the multiplication of the earnings of the winning combination by four. 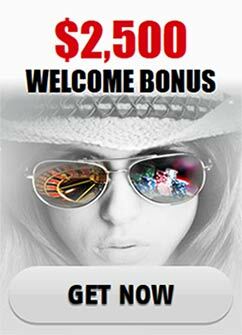 The biggest award you players can acquire, as presented in the paytable in the main screen is 24, 000 dollars provided you enter the spin with maximum coins and a maximum bet. After the wild, the best paid symbol is the red Seven that gives 160 coins at two credits. Next up, are the three bars. The triple bars pay 40 and 80 coins. The double ones pay 25 and 50. The single ones grant 10 and 20. After that it’s the cherry symbol which bring 10 and 20 coins. All the aforementioned awards work with triple symbol combinations. The bonus game of Cash Grab Slots can only be activated if you are going forward with three coins (which is what you are generally advised to do especially with a classically set up slot like this, in which the stakes are not too high to begin with). You will see nine stashes of cash in the bonus screen. Players will have to pick one of them and unveil a prize. If the chosen award doesn’t appeal to their liking, they can switch to another one. Four choices are available and in the end you take what you have ultimately selected. Cash Grab Slots is a great classic slot, with sufficient gambling pleasures and the flexibility to engross both big riskers and the players who prefer a safer approach.